The Noblesse Plaid Throw by Fink Living will make a cosy addition to a bedroom or living space. 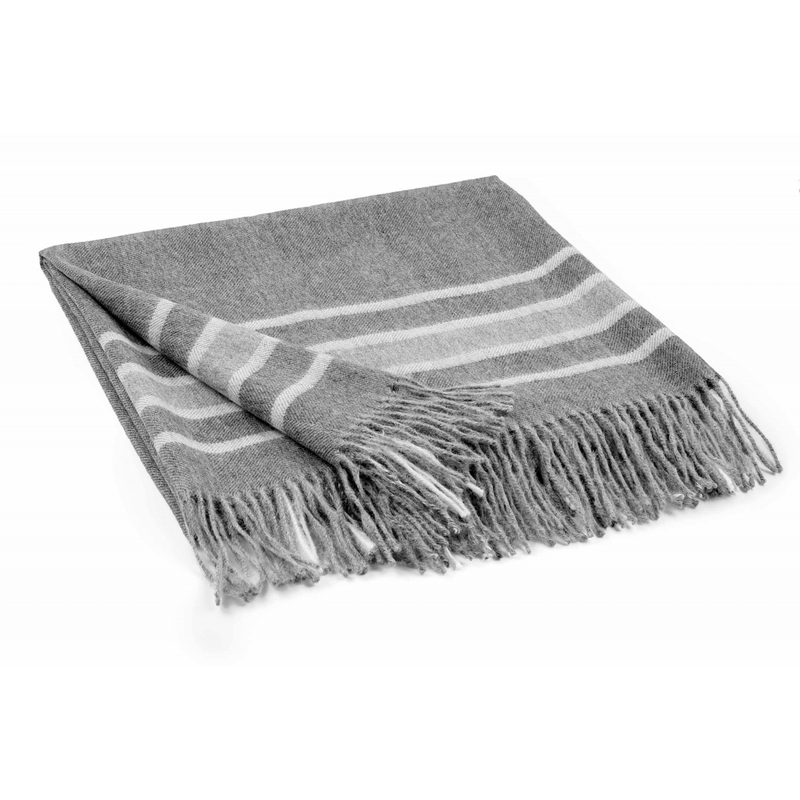 Shown here in Karo grey, this premium throw is crafted from 100% alpaca wool. Soft to the touch, the delicate fibres are both delicate and durable. Featuring a contemporary stripe design and pale grey fringing, this versatile throw will suit both modern and traditional homes. Style with Skandi accessories and furniture in pale wood and brushed metallics for an on-trend, minimalistic look.